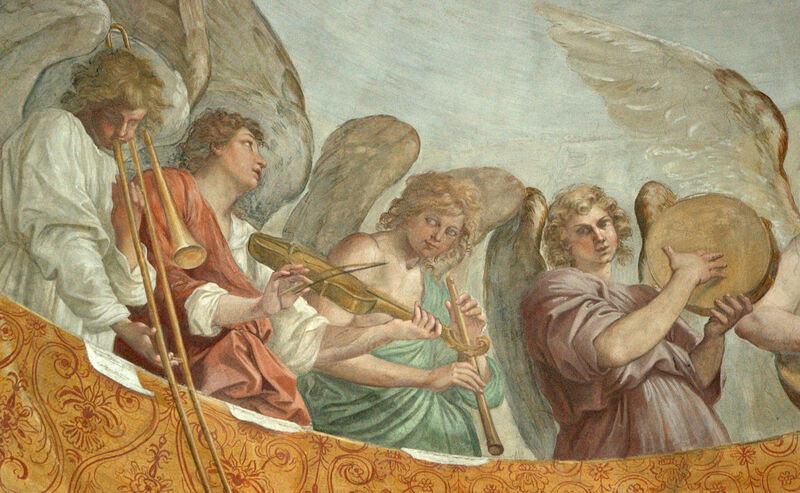 I just added three more serpent and ophicleide pictures to the post Serpent & Ophicleide: History and Images. Look for them soon in the Serpent Newsletter, as this website has become one of the primary suppliers of images for that publication! Of course, as a trombonist, I am partial to the first picture, a cartoon from Punch in which the triangle player is bearing the brunt of the trombone player’s efforts. 1848—London, England: A cartoon published in Punch magazine includes an ophicleide among members of a band marching in the street (see below image, click to expand; public domain) (vol. XIV, p. 236). 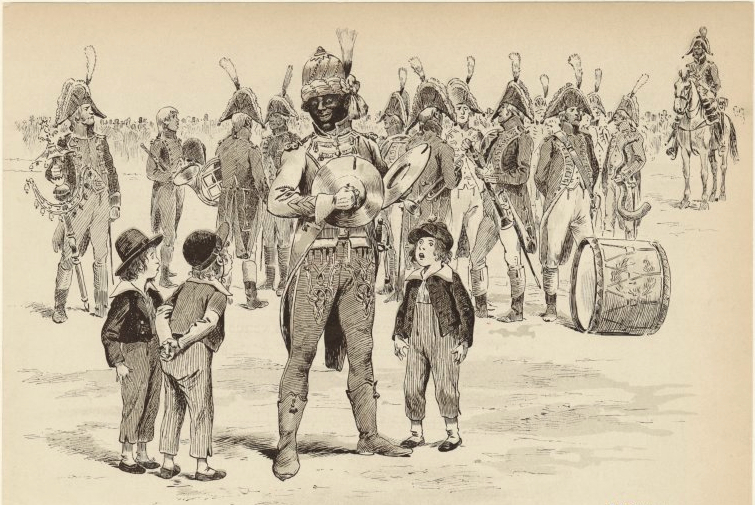 1898—Paris: Children watching a French soldier play the cymbals, military band in background, originally printed in L’épopée du costume militaire français, includes a soldier holding a serpent (see below image, click to expand; public domain). 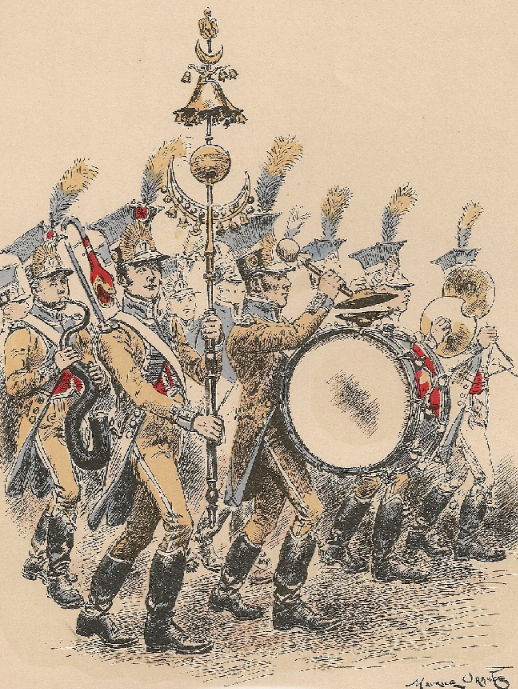 c. 1900—France: An image entitled Musique d’Infanterie by Maurice Orange (1867-1916), depicting military musicians of an earlier era (1806), includes a serpent and what is probably a buccin, or trombone with dragon-head bell (see below image; public domain).